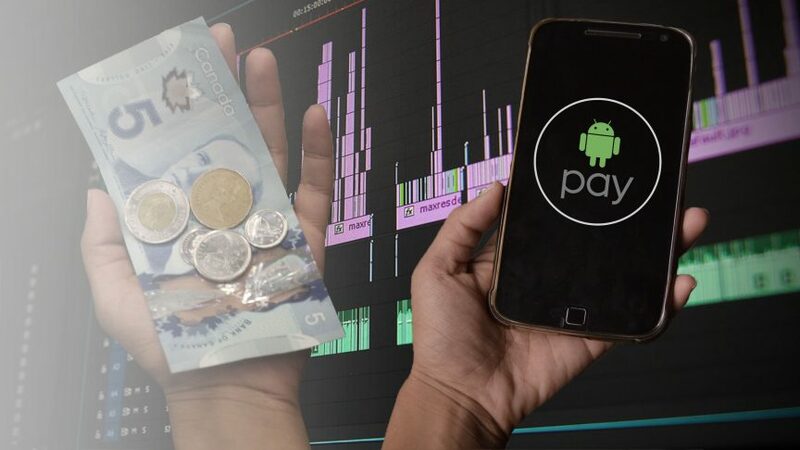 Is the future of Canada cashless? Late one evening, I received a text from a friend of mine petitioning me to write an article about the possibility of Canada making a full-scale shift toward cashlessness within our lifetime. Her rational for the potential paperless push was that: “Ever since android pay [sic] and stuff came out, I’ve been noticing that none of my friends have cash on them.” Anecdotal? Maybe. Society has yet to make a complete push to eliminate cash, but consumers are embracing new methods for payment. According to a 2017 American Health of Cash survey, about 27 per cent of consumers selected cash as their second most-preferred method of payment, just behind debit cards at 33 per cent. Credit cards, digital and cheques rounded out the list with 22 per cent, 15 per cent and 3 per cent respectively. The Health of Cash survey, conducted by the ATM network provider Cardtronics tracked consumer payment behaviour both in terms of which payment methods people have used in the past six months for about 1,000 American adults. Paying with machines or cards is convenient. With the introduction of payment methods such as Android Pay, consumers are able to pay things with “the touch of a button” on a smartphone, something I admittedly don’t even do (yet). John Isbister, a Ryerson economics professor and Princeton alumnus said that the convenience of cash can outweigh the need for technology to make payments. “Maybe our lives will change so incredibly that we’ll all just get by with a machine, but I just don’t see it. I don’t think we’ll ever get rid of cash. Cash is just so convenient. People are always going to want to have some cash,” he said. There is some benefit in using a single credit card as opposed to cash. It’s easier, for me at least, to tap my debit card than it is to hand over a bill. I’d be losing a physcial piece of money, whereas after debit purchases I still keep my card. The Health of Cash survey also indicates a leaning towards convenience among younger generations. According to the survey, millennials are more likely to have used both non-bank apps (42 per cent versus 33 per cent) and bank payment services (27 per cent versus 16 per cent) versus other age groups. However, Isbister said that the idea of a cashless society would pose certain problems. Will Anderson, a fourth-year economics student at Ryerson and host of The Will of The People, a weekly economics and politics-focused podcast aiming to “provide a voice for young Canadian minds” said the contrary. He believes there will be a point when Canada will go cashless. “If you look at the trends over the past 20 years, it’s very telling as to the direction our consumption behaviour is going. The rise in credit cards and debit cards has made it far less important to carry cash at all times. Now we can pay for small transactions by tapping our cards or even our smartphones. I would reckon that most young people have little to no cash on them most of the time,” he said. But for Isbister, the idea of a cashless society also brings up the concern of how sustainable transactions made on technology will be. Both my cash and my phone are costly items to be stolen but would my money not be safer on my phone? On my phone, my funds would be protected by passwords, fingerprints—even retina scans. I’d lose my phone, but be able to take solace in the fact that no one could take my money. Contrast that with losing your wallet and being susceptible to untraceable robbery. However, the idea of digital banking and cashlessness raises concerns about how secure funds are online. A recent Financial Post article argued that the Sept. 7 Equifax data breach, which affected about 143 million U.S. consumers, has made people feel insecure about digital banking, and will drive them back to cash currency. Anderson disagreed with the assessment. “The Equifax data breach was an extremely bad case and many people now risk identity theft,” he said. “With that being said, I don’t think people will necessarily reject digital payments as a result of it. If anything, it will make consumers more aware of the risks of trusting private businesses with their confidential information. If anything, the Equifax data breach was a catalyst for an even better, more secure market. Both the economist and the economist-to-be had their own thoughts and feelings on what may be an important global shift in the way we purchase things. As a journalist, it’s not my job to draw conclusions—I just present the data—but I’m inclined to believe that we may be seeing considerably fewer bills exchanging hands in the coming years.